to forgotten baseball hero Roger Maris. Shown below: Roger Clemens and Barry Bonds. 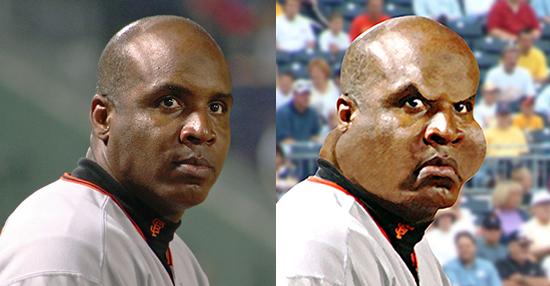 You can see the other four steroid caricatures in this post.